Welcome to LOGISTICS MARKETING group, a professional Website Design Consulting team of experts with over 10 years of combined experience in the internet marketing arena. We specialize in affordable web design solutions that produce outstanding returns for our clientele. Our commitment to our clients is based on trust, integrity, and delivering the results they demand. We are only successful, when you are successful. LMg will help your business establish an identity on the World Wide Web and will expose your brand to thousands of potential customers. Our goal is not only to build a website that gets you noticed, but you get placement on the searches relevant to your business. The internet has forever changed the way we communicate, conduct commerce and gather information. In the U.S. alone we conduct over 20 billion online searches every month. In order for your business to fully tap into this market, you must have a storefront on the internet that stands out. Let our Website Design Consulting team of experts work with you to develop and implement a design strategy that puts your company at the top of the “Organic” listings on Google, Yahoo, and Bing. 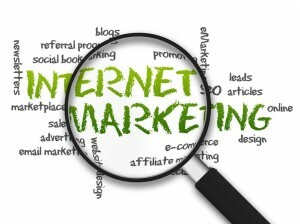 In addition to web design, our team can develop a strategy that includes social media and SEO. Our social campaign will include FaceBook, LinkedIn, Twitter, and Google+. Utilizing media social will allow your company to achieve even more online exposure and create even more relevance. We are able to publish status updates to all social media outlets on a monthly, weekly, and daily basis. LOGISTICS MARKETING group’s Website Design Consulting team of highly trained professionals possess the skills and knowledge to achieve your “web design and SEO” objectives. Our team understands how to increase visibility and traffic to your website. With a combination of search engine optimization, link building, and content relevance, we will make your website a valuable asset to your organization. LMg will design a website strategy that specifically targets consumers seeking the products and services your company provides. This additional exposure directly translates into more revenue. Remember, your website is your storefront on the web, and our job is to drive potential customers to your door. If you want to increase your company’s internet visibility on the web, then don’t wait contact LMgroup today. Our Website Design Consulting team will get to work immediately on an effective “Website, SEO, & Social Media” strategy tailored to meet your company’s specific online and financial goals. We’re ready to deliver results to your business. Your customers are waiting for you, so don’t wait our staff is standing by. CALL US TODAY!